Rupert Murdoch is propelling his family dynasty forward by taking a step back. The octogenarian mogul plans to hand off the Twenty-First Century Fox media empire shortly to his two sons. Rupert is expected to designate Lachlan as executive co-chairman alongside him, and cede the chief executive role to James. The departure of Chief Operating Officer Chase Carey would crown the royal succession. Recent events may have contributed to Rupert’s willingness to relinquish the throne. He miscalculated with an $80 billion offer to buy Time Warner last year. The rival conglomerate firmly resisted the advance, and forced a retreat. Over the past year, Time Warner’s stock has soared by a quarter and still trades higher than the $85 offer price long after the takeover plot’s withdrawal, as Fox shares tumbled by 7 percent. The decision not to raise the bid or go hostile against the owner of HBO and Warner Bros. studios was a departure from the elder Murdoch’s aggressive past. That may be a credit to Carey, who has won over Wall Street by taming the company’s imperialist tendencies in favor of returning money to shareholders instead. Without his mustachioed presence in the corporate firmament – even if he sticks around for a while as a consigliere – there’s a risk the Murdochs lose their newfound discipline. James has at least proven himself to a certain extent, overcoming the cries of nepotism in 2003 when he was installed as CEO of UK satellite operator BSkyB and slowly winning over its investors. He seems to have deftly shaken off the phone hacking scandal that broke while he was overseeing the British tabloid newspapers involved and owned by sister company News Corp. James has even made some headway with Fox owners not named Murdoch and Saudi Arabia’s Prince Alwaleed bin Talal, who backs the family’s 39 percent control with his 6.6 percent stake. In 2013, a big majority of minority investors voted against the board nominations of the brothers. A year later, after James had been appointed co-COO and Lachlan co-chairman, the opposition shrank considerably. Not that the ballot count matters. 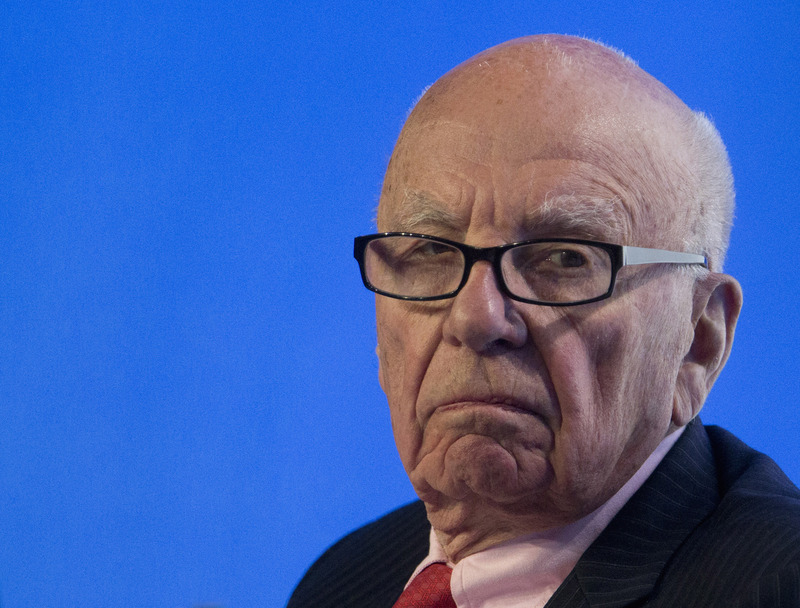 As the forthcoming coronation orchestrated by Rupert indicates, Fox will be a fiefdom overseen by the Murdochs. Rupert Murdoch is preparing to step down as the chief executive of Twenty-First Century Fox and to hand the position to his son, James, CNBC reported on June 11. Murdoch would continue to be executive chairman while his son Lachlan would join him as an executive chairman, according to the report. Chase Carey would resign as chief operating officer and take on a yet undefined role as an adviser, CNBC reported. A Fox spokesman said succession is on the agenda for the board of directors at its next regularly scheduled meeting, but declined further comment, according to the business news network.